“I live in a good distance from the church I attend which means lots of driving and observing time. Often times, on my way to church I look out my window and I stare. Some may think I’m being rude, but it’s the exact opposite. I look at that person sitting on the stoop or the one standing on the corner, and I wonder. I wonder about what they may have gone through that day. I wonder what it is that made that person look so sad. I wonder about the mom on the bus stop struggling to get stroller, baby, and bags onto the bus. I wonder. When it’s all said and done, “Mercy rejoiceth against judgment.” (James 2:13). Thinking beyond oneself is going to win out hands down every single time. Why? Because, that’s what Christ did for us! He looked beyond Himself, beyond His own needs and hurts, and saw what the world needed. The world needed a Savior. Even during His earthly ministry it has been noted in the Bible, “But when he saw the multitudes, he was moved with compassion on them” (Mt. 9:36). To the leper, “And Jesus, moved with compassion, put forth his hand, and touched him…” (Mk. 1:41). To the mom who just lost her son, “And when the Lord saw her, he had compassion on her…” (Luke 7:13). To the world, “Father, if thou be willing, remove this cup from me: nevertheless not my will, but thine, be done,” (Luke 22:42). To His enemies, “Father, forgive them; for they know not what they do…” (Luke 23:34). That’s how warm Jesus’ heart was toward people. He had a genuine concern to look at people from the inside out instead of the outside in. He saw the person beyond the people. 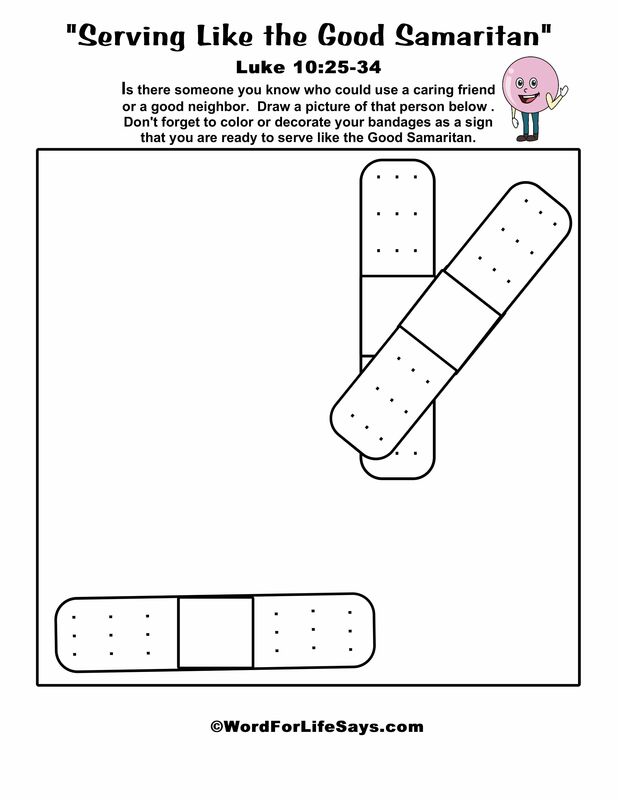 So, did the Good Samaritan. Despite the rejection and animosity he faced down through the years at the hand of the Jews, this man needed his help. He was not going to let those years of bitterness or even indifference change his resolve to help the one that needed him now. Paul taught the church in Ephesus to “And be ye kind one to another, tenderhearted, forgiving one another, even as God for Christ’s sake hath forgiven you. Be ye therefore followers of God, as dear children; And walk in love, as Christ also hath loved us, and hath given himself for us…” (Eph. 4:32-5:2). Imitators of God are concerned with the person on the inside. An imitator of God is warmed to the plight of the human in humanity and sees them for who they are. They are someone that God is concerned enough about to allow His Son to die. Shouldn’t we then have that same compassion for one another? (© Word For Life Says). 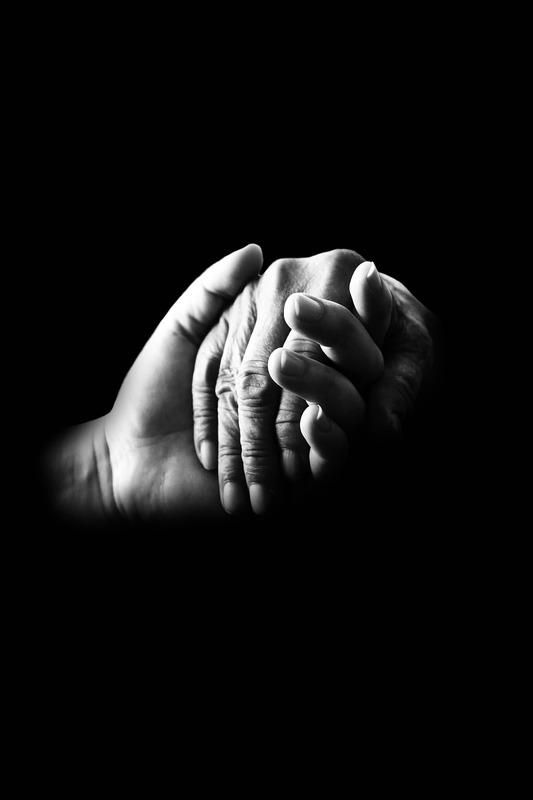 Compassion, though it may sometimes seem like it in today’s world, does not have to be a lost art. We, if we follow the example of Jesus and of those who have gone on before us, can make a difference, not only in one life but in the world, positively, for change. Through our service to our fellow man we are demonstrating the service of God’s love toward us; thereby serving God as well. Considering all that Christ has done for us, we have a unique responsibility to show one another love through service. Think about the life of Christ. He said, “Even as the Son of man came not to be ministered unto, but to minister, and to give his life a ransom for many,” (Matthew 20:28). Here is the King of all kings and the Lord of all lords, humbling Himself as a commoner and serving. His focus was never on receiving anything, yet to give it all. The pattern of the Church and those who would serve God should be so likeminded. It amazes me the lengths that individuals will go through to try to prove a point. Certain men would show up at different points: Pharisees, Herodians, Sadducees and scribes, “to catch him in his words,” (Mark 12:13). These questionings were not honest inquiries rather ways to try to catch Jesus in a trap; “that they might take hold of his words, that so they might deliver him unto the power and authority of the governor,” (Luke 20:20; read 9-19 for more). The lawyer in today’s lesson was an expert in the religious law or the Law of Moses. His life revolved around the teachings thereof; he knew and possessed the expertise of the time; a very thorough knowledge of what was written and passed down from generation to generation amongst the people of God. Here, he used his “knowledge” to try to trap Jesus in something he and the other Pharisees and scribes could eventually use against Him in their pursuit of His demise. We see a similar situation play out in Matthew 22:35 and Mark 12:28. But Jesus turned the tables on him and asked him, “What is written in the law? how readest thou?” Obviously, Jesus knew of the man and who he was and being the expert that he is should be able to readily answer His question as well. It’s one thing to throw questions at another in an attempt to embarrass or discredit; it’s totally different to be put on the spot and have to answer for some theological debate for oneself. Jesus redirected the man’s question to let the law, which he is so familiarly acquainted with, speak for itself. Note: “All scripture is given by inspiration of God, and is profitable for doctrine, for reproof, for correction, for instruction in righteousness,” (2 Timothy 3:16). If there is any question regarding the Word, refer back to the Word. Jesus used God’s Word a lot in many defenses. What I like is Jesus didn’t initiate this. It was the pride and headiness of those who sought to disprove Him that caused them to pose these questions. Yet, at every turn, Jesus, in His quiet and humble way, puts people in their place causing the opposite results in what they were hoping for. The lawyer’s response was not unexpected. He answered with his recitation from a portion of the Law which begins in Deuteronomy 6:4 with the words, “Hear, O Israel: The Lord our God is one Lord:”; also known as the Shema (compare Mark 12:29). This prayer was recited two times a day. Its instructions are very poignant and meant to solidify one’s relationship and that of his house with God (see Deuteronomy 6:4-7). What great principles on rearing a godly house and drawing one closer to God! Here, the lawyer answered confidently, “Thou shalt love the LORD thy God with all thy heart, and with all thy soul, and with all thy strength, and with all thy mind” reciting from the familiar verse 5 in that same set of verses from Deuteronomy 6. Jesus supports his answer as being correct by stating, “Thou hast answered right: this do, and thou shalt live.” In Matthew 22:40 Jesus states, “On these two commandments hang all the law and the prophets.” Everything is fulfilled in the following of these two commandments. We are not saved by our works, but our works prove to whom we belong. “Even so faith, if it hath not works, is dead, being alone,” (James 2:17; read vss. 14-18). “But he, willing to justify himself, said unto Jesus, And who is my neighbor?” Oh, here’s where we get into the pudding of the matter. I don’t know why this man felt a need to justify himself but the answer that Jesus gives was most certainly not what he was looking for. When one is seeking to justify themselves, in my opinion, they are trying to clear themselves from any wrongdoing. Being that this man was, in fact, a pro at the dealings of the Mosaic Law, he wants to be found, again in my opinion, “right” in his dealings with his fellow man. Though his title of a lawyer was not as we use it today in a court of law, let’s think about that court of law scene for a moment. People go to court to try and convict. Others are there to defend or justify; presenting an excuse to the judge/jury of why they should be cleared of any charges. Again, strictly my opinion, but to me, this man was fishing to be exonerated of any wrong toward his fellow man. But, let’s find out Jesus’ answer in the matter. To answer the lawyer’s question, Jesus, as He was known to do, told a very illustrative story instead of giving a simple verbal response. What He was about to pose would be thought-provoking and should cause some to question whether they are truly serving in the love of God. Many of us are very familiar with this story so I won’t bore you with the obvious. What I do what to point out is the “opposite” ingredient that plays into the mix of things in Jesus’ story. On the one hand, we have not one, but two men who are considered righteous workers in the temple of God: the priest and the Levite. Both men have been ordained and appointed special positions and special tasks on behalf of the temple, the people, and God. On the other hand, we have a despised reject of Jewish society, the Samaritan. One who most would have been considered a nobody yet became the hero of Jesus’ story and is definitive proof that no matter how others view you, you can still make an impact in this world for God. Another “opposite” ingredient to look at is not who any of the men are; rather, their actions in coming across the beaten man. The two, the priest and the Levite, for whatever reason chose not to help or even come near to see about the battered man. Some say they wanted to remain ceremonially clean or the like. We just don’t know the exact cause for why they reacted the way they did but Jesus made it a point to tell the story like this, so it is more than noteworthy to pay attention to. 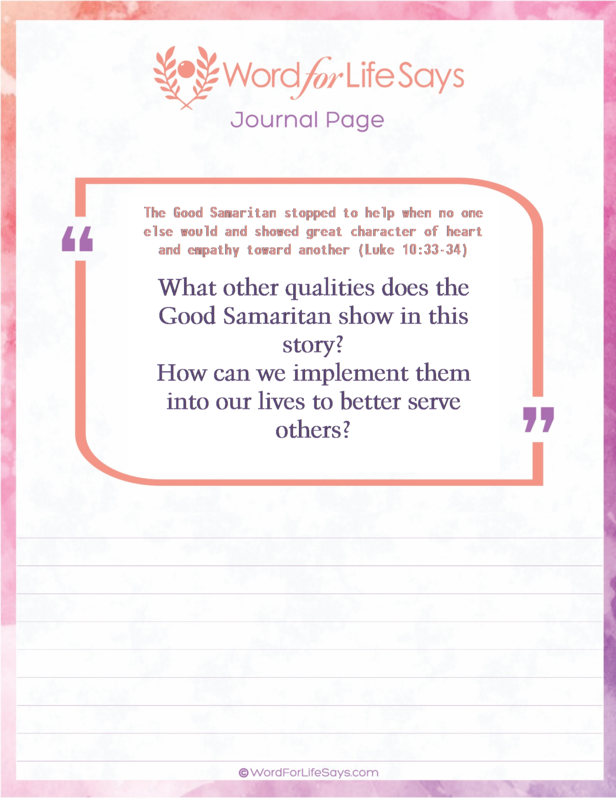 To Jesus, their actions were not only opposite of the Samaritan’s, who showed compassion; but their actions were also opposite of what God was looking for. For by the time we reach the end of the story, not in today’s printed text, Jesus asked, “Which of these three, thinkest thou, was neighbour unto him that fell among the thieves?” (Luke 10:36). The lawyer to whom He presented the question answered, “He that shewed mercy on him,” (Luke 10:37a). Jesus followed with this very important instruction: “Go, and do thou likewise,” (Luke 10:37b), showing what kind of service God was looking for from His people. We serve God not just in the confines of the church building or temple; we serve God when we reach out to our fellow man and become vessels for His mercy to work through. This was a prime teaching opportunity to let them know how they treat people matters. Treat people as you yourself would want to be treated or how you think Jesus would treat them. “God is love,” (1 John 4:8), and those that belong to Him should operate in love also. Everybody wants to be loved and feel the concern of mercy and compassion this man showed, no matter their status in life. God’s people should know how to treat people in any situation or circumstance, whether the times are favorable or not. God’s people must respond the same way Jesus did. Philippians 2:5 tells us, “Let this mind be in you, which was also in Christ Jesus.” See people how Jesus sees them. What is His attitude toward another in need? Loving people; serving them and treating them as one would want to be treated is a priority for living as God’s people and serving Him. As was already stated in our introduction, we are to “And be ye kind one to another, tenderhearted, forgiving one another, even as God for Christ’s sake hath forgiven you. Be ye therefore followers of God, as dear children; And walk in love, as Christ also hath loved us, and hath given himself for us…” (Eph. 4:32-5:2). In order to serve God, we must serve people also. 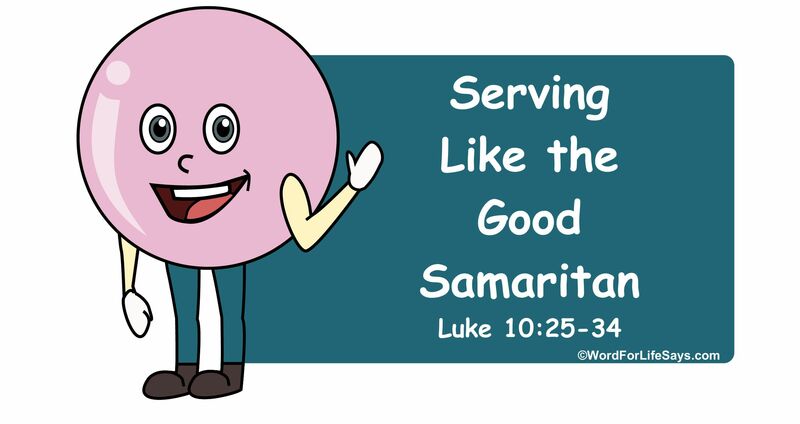 The Good Samaritan became a great and enduring example through the ages of how through serving one’s fellow man we also serve God. 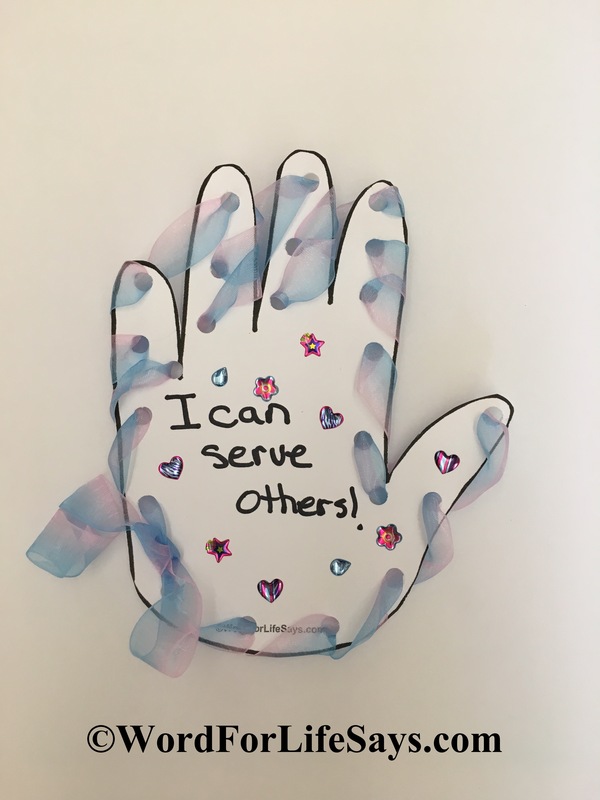 In getting across the idea of “Serving,” I used crafts incorporating the hands since that’s what we use the most to serve and help others (see below). Enjoy! 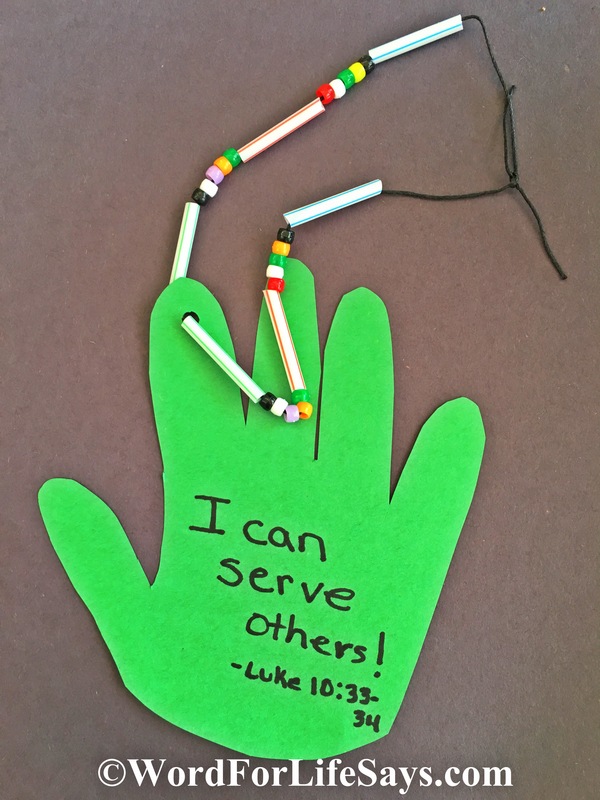 Continuing with our hand theme, students can make a Handprint Necklace (example pictured below – I used construction paper with tracing). 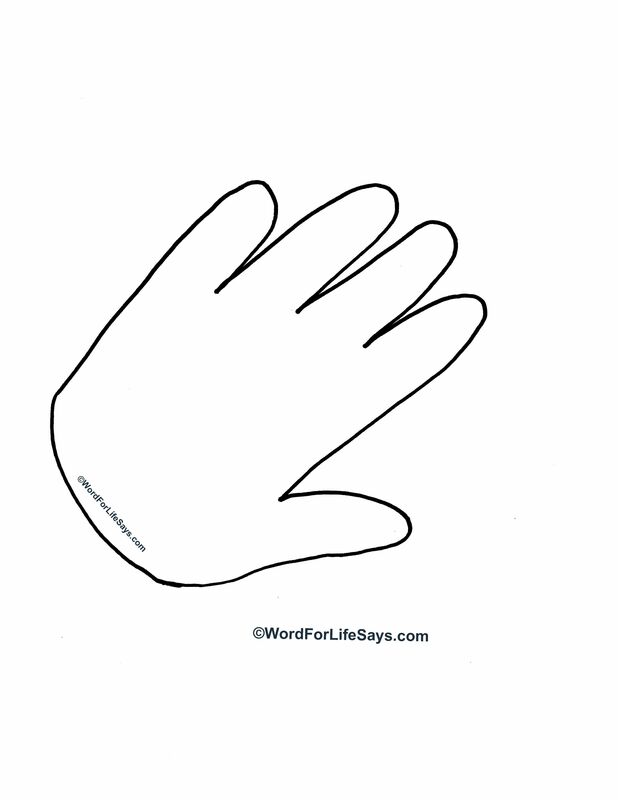 Students can trace their handprint onto construction paper or cardstock or use this Handprint Craft Cutout and cut out. Punch one hole in the top. Using ribbon or yarn and cut up straws, beads, or whatever you have laying around (even loop cereal 😉 Let them have fun and decorate it as they see fit. 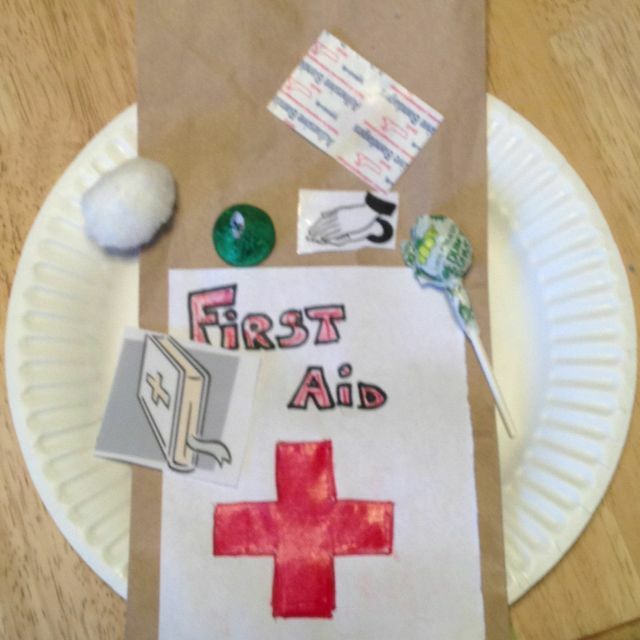 You or your students can even write a memory verse reference directly on your project.